In June 1995, Jaswant Singh Khalra gave a speech in the Canadian Parliament about the disappearances of thousands of Sikhs in Punjab. Three months later, he too "disappeared" in Punjab and was never seen again. "Disappeared" is a euphemism. Just like the tens of thousands of Sikhs Jaswant Singh was talking about, he was murdered by the Punjab police. 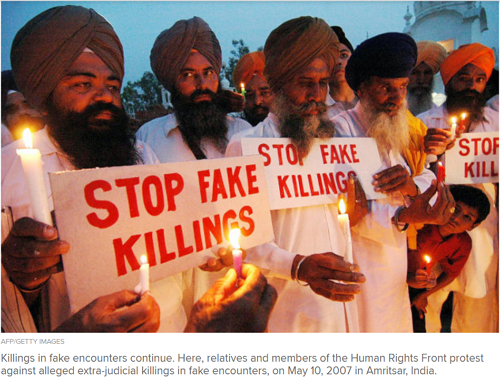 A respected activist and community figure, Jaswant Singh was another victim of the systematic killing of mainly Sikh men in what have become known as fake "encounters." The only difference between Jaswant Singh and the thousands of missing Sikhs he was seeking justice for is that police officers were convicted of his killing — although it took 10 years to happen. These massacres of the Sikhs largely came in an 11-year period, immediately after the huge rise in activism post the Sikh genocide in 1984. The killings were given judicial validation under the infamous TADA law implemented across India in 1985, widely condemned by human rights groups until it was rescinded in 1995. However, fake encounter killings, police brutality and torture are all still widely known traits of the Punjab police, as reported by Amnesty International just last year. Almost every Punjabi family has anecdotal evidence of the Punjab police's brutality at that time. 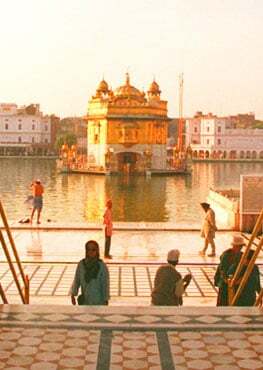 Following the Sikh genocide in 1984, the Indian state became reliant on the ultra-violent tactics shown during Operation Blue Star to quell the activism and resistance of the Sikh community. Almost every Punjabi family has anecdotal evidence of the Punjab police's brutality at that time; it was in the face of this violence that Jaswant Singh began exposing the mass killings taking place. It is important to note that the standard Indian state narrative of this era is that the Punjab police, headed by notorious figures such as Kanwar Pal Singh Gill (known as "The Butcher of Punjab") were tackling separatist terrorism. The counter view is that following the Sikh genocide, support for Khalistan (an independent Sikh homeland) naturally grew, leading to further violent repression of Sikh activism by the Punjab police, which then led to groups resorting to armed resistance. 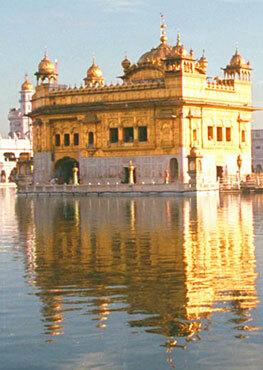 Jaswant Singh began investigating the case of so many missing Sikhs. He was already known for his activism, and as a qualified lawyer he was studious in his approach to expose the killings of countless Sikhs, which included colleagues of his at the bank he worked at. His breakthrough came when he discovered files from the municipal corporation of the city of Amritsar which contained the names, age, addresses of those who had been killed and later burned by the Police. Further research revealed other cases in three other districts in Punjab, increasing the list by thousands. Jaswant Singh Khalra exposed the murder of approximately 25,000 Sikhs in the late 1980s/early 90s, a figure many believe is just the tip of the iceberg. It was after years of research that Canada played a key role in Jaswant Singh's legacy. Invited and hosted in Canada by the World Sikh Organization, a speech he made in Parliament in Ottawa illuminated his research. That speech is hailed as a breakthrough moment for Sikh activism to this day, helping thousands realize just how widespread the fake encounter killings of Sikhs were. It is also a key moment for the Canadian Sikh community, where the traumas of the Sikh nation were presented to the public on such a mainstream platform. The speech highlighted to Canadian Sikhs just why their families had left India in the first place. The suffering of Sikhs is something that is all too commonly left out of discussions when so-called "Sikh extremism" is discussed. Ultimately, the impact of that speech is why the Punjab police murdered him just a few months later. However, just as with all great activists and martyrs, his end only helped spur on others to continue his legacy. In the Sikh faith in particular, martyrs are celebrated for their selflessness. As such, Jaswant Singh has been given the esteemed posthumous title of Shaheed and his activism is celebrated and work continued. This can be seen in the efforts of organizations such as Ensaaf, who recently visually documented the data of over 5000 families that had missing members. Last year in the U.S., a park in California was renamed after Jaswant Singh Khalra. The suffering of Sikhs is something that is all too commonly left out of discussions when so-called "Sikh extremism" is discussed. This was no more evident than in our very own Canada earlier this year, when media outlets condemned Sikhs for their support of the Khalistan movement, which was portrayed to be a terrorist movement. Yet, the belief of millions of Sikhs is that such movements are justified, not just by their faith but also by the circumstances forced upon them from 1984. This was arguably best articulated in Canada itself, in the very building that enshrines the principle of free speech. Without that context, without knowing that tens of thousands (and possibly more) Sikhs were killed at the hands of a brutal regime widely condemned by human rights groups, anyone considering Sikh movements of resistance, sovereignty, and activism will never fully understand where they come from.